For the tenth consecutive year, Miami Dade College (MDC) has been named among the nation’s Great Colleges to Work For by The Chronicle of Higher Education, a major higher education publication. In addition, MDC again made the honor roll for being recognized in multiple categories. MDC was recognized in the following categories collaborative governance; confidence in senior leadership; diversity; professional/career development programs; respect and appreciation; supervisor/department chair relationship; and teaching environment (faculty only). To administer the survey and analyze the results, The Chronicle turned to ModernThink LLC, a strategic human capital consulting firm that has conducted numerous “Best Places to Work” programs, surveying hundreds of thousands of employees nationwide. The survey results are based on a two-part assessment process: an institutional audit that captured demographics and workplace polices, and a survey administered to faculty, administrators, and professional support staff. The primary factor in deciding whether an institution received recognition was the employee feedback. MDC joins other top institutions in receiving this distinction including the University of Notre Dame, Quinnipiac University and the University of Southern California, among others. For more information and view the complete list of honorees, visit here at The Chronicle’s website. 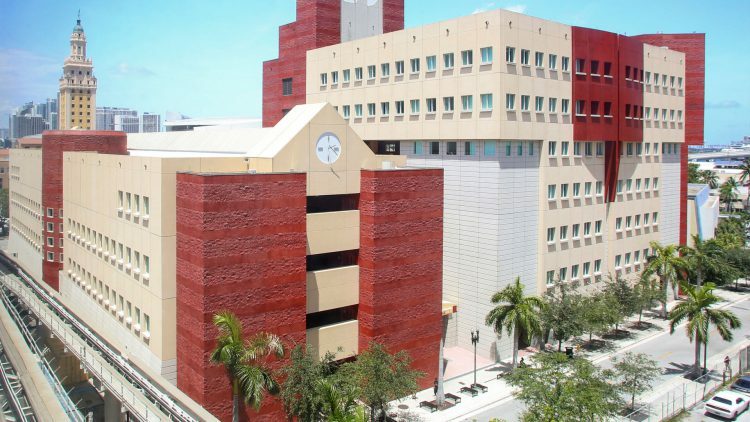 Miami Dade College is the nation’s largest, campus-based institution of higher education with an enrollment of more than 165,000 students. It is also the nation’s top producer of Associate in Arts and Science degrees and awards more degrees to minorities than any other college or university in the country. The college’s eight campuses offer more than 300 distinct degree pathways including several baccalaureate degrees in biological sciences, engineering, data analytics, information systems technology, education, public safety, supervision and management, nursing, physician assistant studies, film and others. MDC is the recipient of top national awards. MDC positions itself as “democracy’s college,” accessible to all and changing lives through high quality-teaching and learning experiences. It houses the Miami Culinary Institute, the Miami Animation & Gaming International Complex, the Miami Fashion Institute, the Eig-Watson School of Aviation, the Idea Center, the School of Advance Studies, the New World School of the Arts, to name a few. MDC has been named among the nation’s “Great Colleges to Work For” by The Chronicle of Higher Education. The College embraces its responsibility to serve as an economic, cultural, and civic leader for the advancement of our diverse global community. Its alumni and employees contribute more than $6 billion annually to the local economy, and MDC graduates occupy top leadership positions in every major industry. MDC is also renowned for its rich cultural programming. It is home of the Miami Book Fair, Miami Film Festival, the MDC Live! Performing Arts Series, the National Historic Landmark Miami Freedom Tower, the Tower Theater, Dyer Building, Koubek Center Mansion and Gardens, the Lynn and Louis Wolfson II Florida Moving Image Archives, a sculpture park and a large art gallery system. MDC has admitted more than 2,000,000 students and counting, since it opened its doors in 1960.